Colorado Apartments for Rent in Gunbarrel. Newly Remodeled Unique Townhome Apartment Community in Northeast Boulder. Amenities: Air Conditioning;Basketball Court;Business Center;Extra Storage;Fenced Yard;Fireplace;Hiking/Biking Trails Nearby;Main level bedroom;Mountain View;Outdoor Pool;Patio/Deck;Playground;Tennis Court;Volleyball Court;Students allowed;Wheelchair Accessible Pet Policy: $350 2 PETS, $250 1 PET. Weight limit 100lb. 1st floor, 25lb 2nd and 3rd floor units. No ''lock jaw'' breeds. Pet rent not included ****See Description Notes for More Pet Info!! **** Comments: Newly remodeled unique townhome/apartment community in northeast Boulder! Providing broad mountain views, extended open spaces and seven beautifully landscaped acres. The low density cluster style concept offers an inviting change - with large grassy areas, open courtyards and mature trees. New appliances, new carpet, new fixtures! Rested on 9 beautiful acres in northeast Boulder/Gunbarrel. 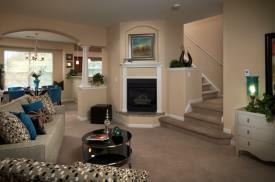 Private park, Twin Lakes, and shopping nearby!